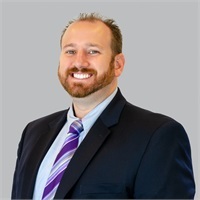 Matthew J. Condon, CFP®, has over 15 years experience in the financial planning field and is a HTK Investment Adviser Representative. His passion lies in building strong relationships with his clients, and he dedicates an incredible amount of time and energy researching the industry to be able to help his clients pursue financial flexibility, including preserving and growing their wealth. Matt has a degree in Financial Economics from Saint Anselm’s College, a Masters in Banking and Financial Services Management from Boston University, holds the CERTIFIED FINANCIAL PLANNER™ professional designation and has production-based awards including a perennial top producer at HTK and featured guest speaker in 2010 and 2012 at the HTK leaders conference. He also has a Business Administration and Management Degree from Babson Institute for Entrepreneurial Leadership & Advancement at Babson College. When not in the office, Matt enjoys playing rugby with the Old Gold Rugby Football Club and coaching rugby at Newton Youth Rugby. He also orchestrates fundraising efforts to benefit Best Buddies, a charity that creates opportunities for people with intellectual and developmental disabilities.